Olivier Van Aken obtained his PhD at Ghent University (Belgium) in the Flemish Institute for Biotechnology (VIB, Plant Systems Biology). He then moved to the ARC Centre of Excellence in Plant Energy Biology at The University of Western Australia, where he obtained an ARC Australian postdoctoral fellowship in 2010 and became research assistant professor in 2012. Olivier’s research is focused on how mitochondria and chloroplasts impact on environmental stress sensing and resistance. He is particularly interested in how these energy organelles operate as hubs during retrograde signaling and in the underlying transcriptional network. 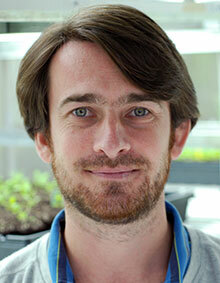 His work has resulted in the identification of several genes with roles in drought and pathogen resistance. 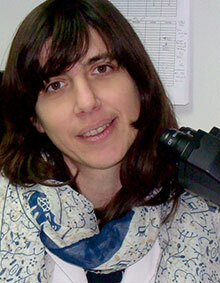 Noelia Foresi graduated from the National University of Mar del Plata, Argentina, with a PhD in biological sciences in 2013.She then held a series of teaching positions at the National University of Mar del Plata.She has presented research works at several national and international conferences, including the annual meeting of the Brazilian Society for Biochemistry and Molecular Biology. She is an assistant researcher in the CONICET – IIB (the National Scientific and Technical Research Council) and has been working in Lamattina’s group for the last eight years. Lamattina’s group is a pioneer and leader in the study of nitric oxide function in plants. Noelia is now actively working on the study of new forms of nitric oxide synthases present in photosynthetic microorganisms, with an emphasis on the biotechnological potential of these enzymes to improve plant tolerance to stress. 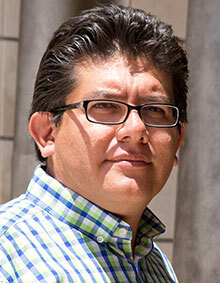 Antonio Leon-Reyes originally studied at Universidad San Francisco de Quito in Ecuador, where he obtained a BSc in agribusiness engineering and chemistry in 1999. He worked as technical manager of cut flowers crops, being responsible for pathogen and insect control, soil–plant nutrition, and postharvest management at several flower companies. He then completed his MSc in plant breeding and genetic resources at Wageningen University before obtaining a PhD in plant–microbe–interactions at Utrecht University, working under the direction of Prof. Corne Pieterse in the Netherlands in 2009. Antonio has held research positions at Utrecht University (the Netherlands), Gent University (Belgium), and Universidad San Francisco de Quito, and teaching positions in Ecuador at Universidad de las Fuerzas Armadas–ESPE, Universidad Central del Ecuador, and Universidad San Francisco de Quito. Since January 2010, he has been a professor of agriculture and food science at Universidad San Francisco de Quito. His main research interest is strengthening the plant immune system by using elicitors to bust systemic resistance and find parameters to control mineral nutrition to increase the plant’s self-defense. He has participated in several major conferences and published in many high-ranking international journals. Having earned a PhD from the Swedish University of Agricultural Sciences (SLU), Umea, Sweden, Karin Ljung is now based at Umea Plant Science Centre (UPSC), Department of Forest Genetics and Plant Physiology. UPSC is an internationally recognized research collaboration between Umea University and SLU, working with plant and forest biology and biotechnology. 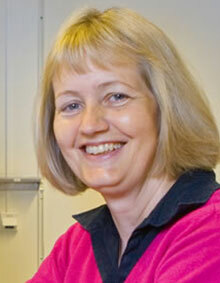 Karin’s research is focused on the mechanisms and processes regulating plant growth and development. She is particularly interested in the role of plant growth regulating substances in primary and secondary root development and in understanding how a plant coordinates the growth of its aerial parts with its root system.